Subscribe to get access to thousands of the best karaoke songs. Subscription auto-renews monthly, or save by subscribing for a full year*. Makes a great gift! 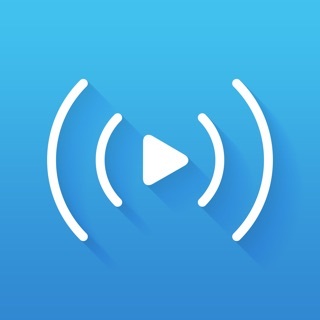 Karaoke Cloud brings you thousands of the best karaoke songs, streamed directly to any connected device. You get instant access to note-perfect karaoke versions of your favorite music, with clear and crisp lyrics scrolling on your screen as you sing along, and gorgeous full-motion backgrounds in high-definition video. We add the hottest new songs every week, so you can be the coolest singer at your karaoke party. Just search for the song you want or browse through our incredible selection of great rock, pop, country, R&B and blues songs. We’ve even got children’s, worship, holiday and Christmas karaoke songs to perfectly match your mood. It’s the easiest fun you’ve ever had, and you can even try it FREE for seven days. You love to sing music, and you love your favorite songs – download Karaoke Cloud and start your FREE 7-Day Trial right away. Make your party an instant hit - make it a karaoke party! Karaoke Cloud has thousands of great party songs that will get the whole room jumping. Karaoke Cloud plays video karaoke on your big-screen TV, so everyone can join the fun. Our great selection of the best karaoke songs never gets old or stale – we add new videoke songs constantly to keep the fun fresh and exciting! Best of all, you can try it FREE for 7 days when you download the app now. Forget clumsy karaoke downloads, trying to move karaoke music between your phone and your computer, or managing a videoke library – Karaoke Cloud does just what the name says. You can sing anywhere, anytime. You can even star in your own Carpool Karaoke just like the biggest names in music do. Try it FREE for seven days and become an overnight sensation! To access all features and content you can subscribe to Karaoke Cloud on a monthly or yearly basis with an auto-renewing subscription right inside the app. * Pricing can vary by region and will be confirmed before purchase in the app. In app subscriptions will automatically renew at the end of their cycle. They Make it impossible to sign out and cancel the subscription. It's a good thing it's only a beta. The design of this app leaves a lot to be desired. I signed up because "Karaoke anywhere" app has taken down a lot of they're good song from the monthly subscription. The app design so far is so bad I don't care to see if there are good songs on this applications monthly subscription. I can probably even look past the poor design of the app and it's lack of basic functions, But I like to connect my iPad to the TV to sing karaoke, And when I do this song always shows up Vertically Across my TV screen So I would have to tilt my head to read the words. The only reason I'm going to hold onto this app is to hold out for updates that will fix it. 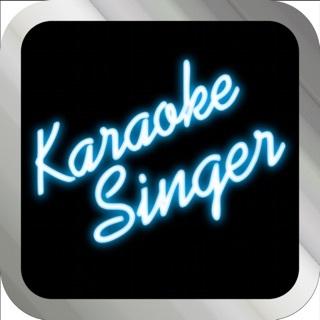 This app is a blast for your karaoke party at home! Great for those who love Karaoke Bars and wanna sound like a pro when they go out! Practice on your family and perfect you number for the big stage!! The things that keeps it from getting five stars is the lack of being able to create playlists like the WEB APP does. also, please add AirPlay!